On Thursday Disney hosted more than 20 expectant military moms with Operation Shower and a bevy of celebrity families for the opening of their first Disney Baby Store in Glendale, Calif. Launched in 2011 the Disney Baby brand provides parents with essential products and information they need for “creating magical moments right from the start™.” The premiere Disney Baby Store offers an exclusive array of practical products for playtime, bathtime, on-the-go, getting ready, mealtime, dressing baby, baby’s firsts, and in the nursery. 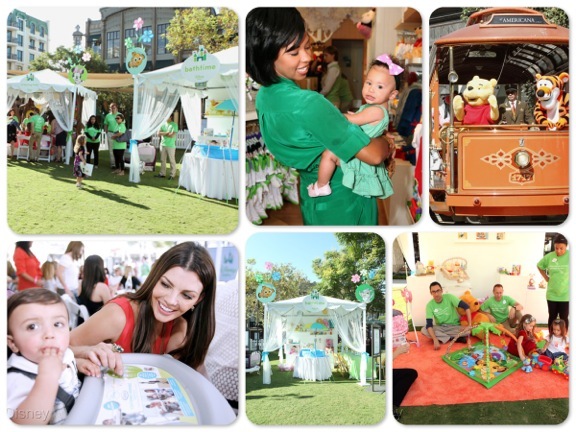 On the lawn at The Americana at Brand, guests were treated to a Disney Baby Magical Moments festival featuring Disney Baby products, demonstrations and samples. 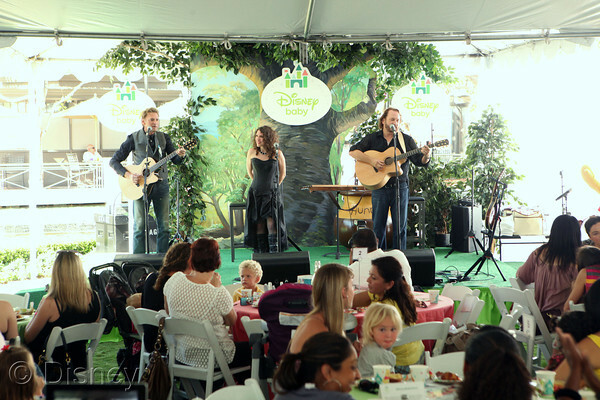 More than 200 guests enjoyed the magical experience while Blue Sky Riders (comprised of members Kenny Loggins, Georgia Middleman and Gary Burr) performed songs from their upcoming album as well as the Kenny Loggins classic “House at Pooh Corner” in honor of the Disney Baby Store opening. Disney characters, Winnie the Pooh and friends were also on hand to celebrate and pose for photos.